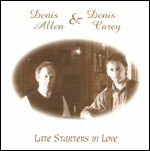 First album by Denis Allen & Denis Carey . 'The songs and tunes included here portray a combination of talent that is quite exceptional'. 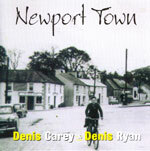 Newport Town combines the talents of Denis Carey (musician, composer, arranger ) and Denis Ryan ('Ryan's Fancy'). This recording features some of their best loved songs and tunes. 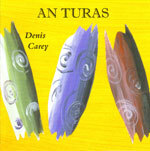 This recording features some of Denis Carey's best known compositions including the popular Irish Traditional Suite "An Turas", played by some of the finest musicians in the world of traditional music. 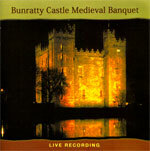 Live recording of the music performed Bunratty Castle (Co.Clare) Medieval Banquet. 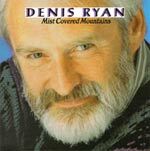 This is Denis Ryan's first album since the days of Ryan's Fancy, including songs such as Newport Town, Sweet Forget Me Not, Cape St. Mary's and Paddy's Green Shamrock Shore featuring special guests Raylene Rankin and Denis Carey. 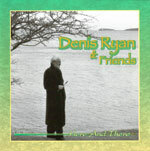 This album by Denis Ryan was recorded in Ireland and Nova Scotia, Canada, and features musicians and singers from both sides of the Atlantic including Denis Allen, Denis Carey, Milinda Allen and Jerry Holland. 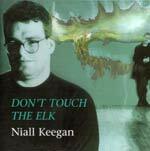 'Niall Keegan is a consummate virtuoso destined for the bigger stage or there's no justice' (Irish Times). Irish traditional flute playing at it's best. 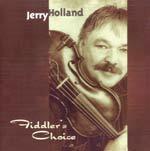 For over 15 years now Cape Breton Fiddler Jerry Holland has set the standard for Cape Breton fiddle. His influence on younger players has been unequaled. 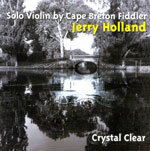 On this new recording, Jerry Holland plays unaccompanied, his fiddle sparkling with Crystal Clear presence. All the mysterious qualities of his tone and dynamics are revealed with startling resolution and depth. Crystal Clear intimately captures the essence of the sound of one of the world's foremost Celtic fiddlers and composers. A collection of beautiful Irish Airs by two of Irelands foremost musicians, including The Rose of Tralee, The Mountains of Mourne and The Jug of Punch. A collection of some of the best known, best loved Irish songs of recent times. 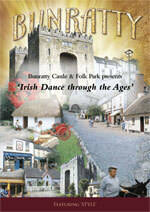 Includes songs such as Danny Boy, Galway Bay and The Wild Colonial Boy. 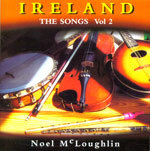 In contrast to 'Ireland, the songs Vol. 1' , 'Vol. 2' includes some lesser known songs with one or two exceptions. Included are some old traditionals, some recent songs, and some jigs and polkas. 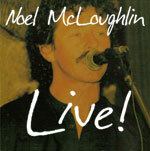 The incredible success of Noel McLoughlin's recordings is down to his impressive but soft voice, especially appreciated by the public in his live concerts. 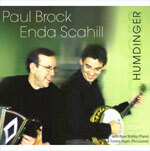 Paul Brock and Enda Scahill present the first ever full recording of banjo and melodeon music. Humdinger draws its inspiration from the early recordings of melodeon and banjo music produced during the golden era of Irish music in North America in the early 1900's. 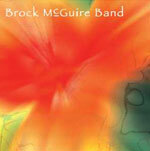 The band's eagerly awaited debut CD, Brock McGuire Band, is a potent blast of traditional Irish tunes, played with passion, precision, and a rousing creativity that often reaches fever pitch. 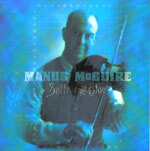 Saffron and Blue is Manus McGuire's first solo album. 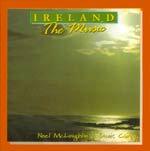 The album encompasses the diverse strands of his musical experiences from Ireland, Scotland, Shetland and French Canada.It further exhibits his recent compositions in the form of waltzes, hornpipes, jigs and reels, all products of his newfound creativity. 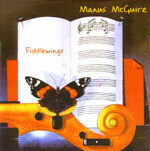 Manus McGuire's "Fiddlewings exudes class from first to last note played. Variety, virtuosity and vitality are the lasting impressions created by this recording"
- Earle Hitchner, Irish Echo, New York. At only 18 years of age, Shannon Quinn has created an album steeped in Atlantic Canadian heritage yet filled with a bright new sound and energy. Shannon provides the vocals and plays the violin for the album. 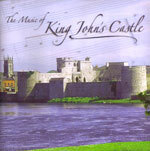 Experience 800 years of history brought to life through song and music" King John's Castle is a fortified 13th century Castle on 'King's Island' in the heart of medieval Limerick. 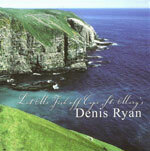 This is the fantastic debut album of Galway born fiddle player Fergal Scahill. On this album Fergal play's a selection of old and new tunes with magnificent skill. He is joined on this album by Tyrone pianist Ryan Molloy who is lighting up the Irish music scene with his energetic accompaniment. 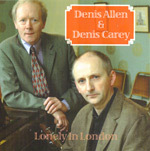 The latest album from Denis Allen and Denis Carey, featuring some new and old songs and compositions. Tipperary musician,composer and arranger Denis Carey launches his latest album 'Moving On' which features his own compositions (jigs, reels, hornpipes, clogs and airs) performed by leading Irish traditional musicians including Mairtin 0'Connor, Ken Rice, Zoe Conway, Tommy Hayes, Paul Brock, Manus McGuire and Enda Scahill. This new album from Noel was inspired by his “Live” album, covering some songs he had never had the opportunity to record. "This is an album of beautifully atmospheric Irish based sounds from this pair of Irish born songwriters recorded between 2005 and 2008. Along with multi instrumentalists Hayes and leslie the album also features contributions from Carl Corcoran, Sarah Roche, Isaac Hayes, Neil Martin and Brendan O Regan. 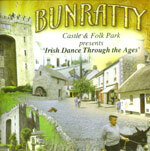 It is a mix of traditional Irish atmospherics and world music influences, featuring a blend of electronically treated vocal sounds and tons of traditional acoustic instruments including percussion, woodwind, strings and brass."